A Companion to Postcolonial Studies examines the tumultuous changes that have occurred and are still occurring in the aftermath of European colonization of the globe from 1492 to 1947. 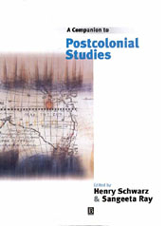 Ranges widely over the major themes, regions, theories and practices of postcolonial study. Presents original essays by the leading proponents of postcolonial study in the Americas, Europe, India, Africa, East and West Asia. Provides clear introductions to the major social and political movements underlying colonization and decolonization, accessible histories of the literature and culture, and separate regions affected by European colonization. Features essays on the major thinkers and intellectual schools that have informed strategies of national liberation worldwide. Offers an incisive summary of the long history and theory of modern European colonization in local detail and global scale.